Hi lovelies! 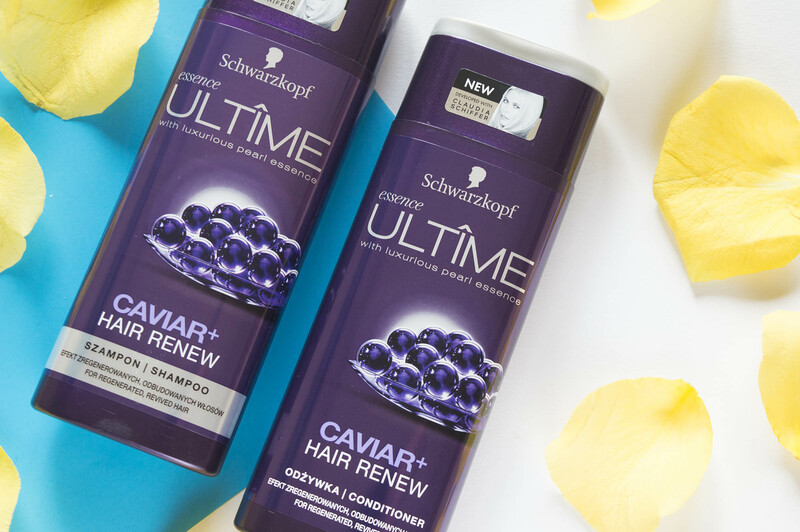 Today I wanted to show you some of the hair products I’ve been using lately: Schwartzkopf Essence Ultime Caviar+ Hair Renew, for regenerated, revived hair. In this range you will find a shampoo, a conditioner, a multi-effect serum and a nourishing mask. 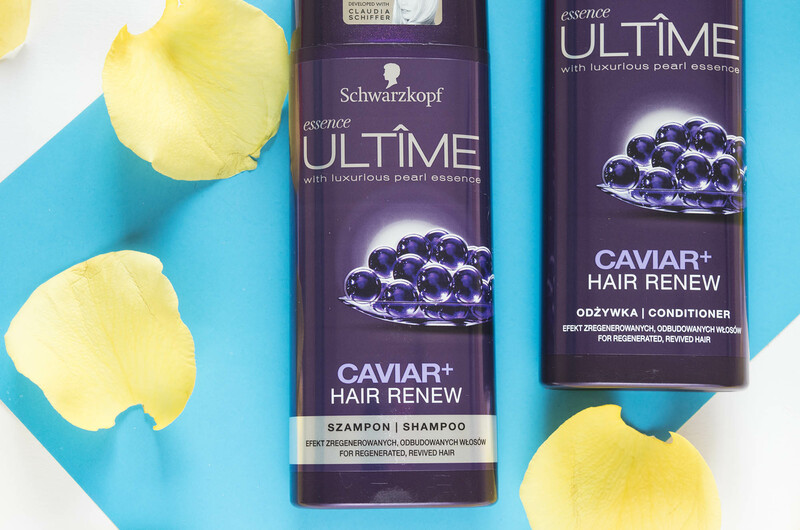 I got the shampoo & conditioner for testing at #bbmcluj a few months ago, and they’re almost empty now 🙂 So I thought this would be the perfect time to tell you a few things about them. 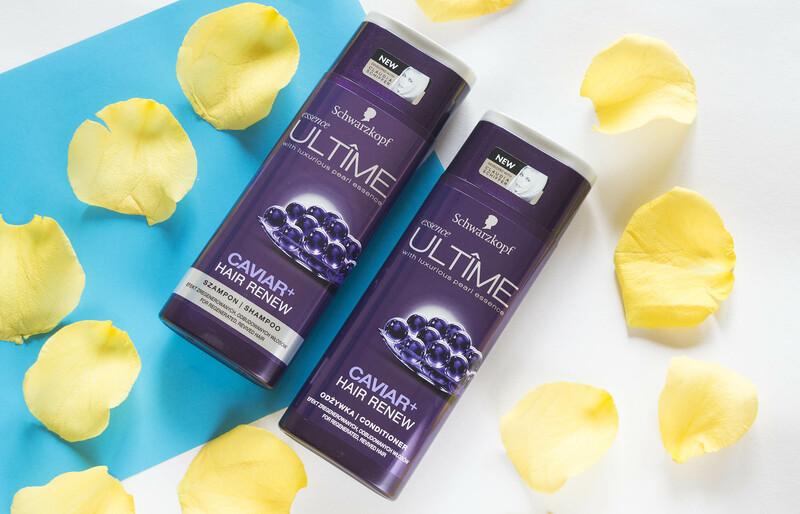 The Caviar+ Hair Renew products have pearl essence & caviar extract, luxurious ingredients that are supposed to keep the hair youthful, strong and healthy. They smell soo good, and the packaging is also on point (really instagrammable). I was very excited to try them, because I’ve never tested anything else with caviar extract. I like the shampoo, it’s efficient and it leaves my hair clean and smooth. It does a lot of foam, but if you give it a good rinse it’s all good, it doesn’t leave any residues. Also, the scent lasts on the hair for a few hours after washing it. I must say it’s a great shampoo, but it’s probably not the perfect match for oily hair. I need to wash my hair every 2-3 days, because my roots get greasy really fast, even if I’m not working out or something. I’ve yet to find my holy-grail, but so far I think I like the Syoss shampoos more, they seem to keep my hair clean for a bit longer. I’m a big fan of this conditioner. It leaves my hair soft, smooth and silky, and it makes it easier to brush and untangle. Also, even though it has a thick creamy texture, it doesn’t weight down your hair. This conditioner is very nourishing, so it’s perfect for dry or split ends. And it also helps me get rid of frizzy hair, so that’s a bonus. The price is somewhere between 25-30 RON each, for 250ml quantity. I spotted them at DM Drogerie Markt, but I’m sure they’re also available in hypermarkets and other beauty stores. Have you tried these products? Or maybe other beauty products with caviar extract? What was your experience with them?